Celebrate your accomplishment and display it proudly! 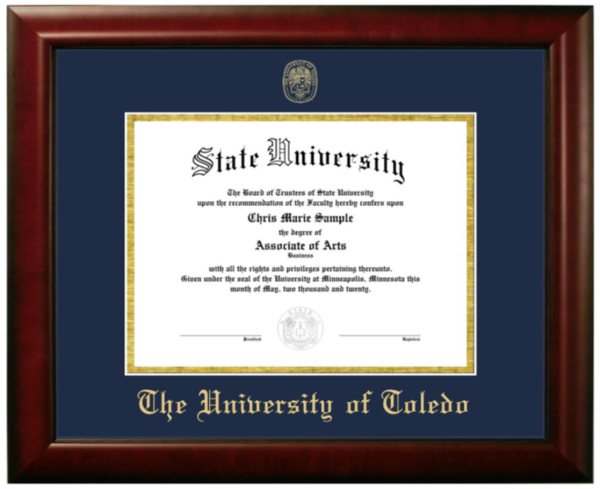 This classic frame is the perfect way to display your degree. Features a navy blue mat with metallic gold accents and imprinted University of Toledo Seal.